Leviton 2-Pole, 3 Wire Grounding Plug. Clamptite Hinged Design 15a-125v, nema 5-15p, White Thermoplastic. Leviton's Black and White Locking Plug is made of a super tough Nylon body that resists damage from severe impact, abrasion and chemicals. Its ergonomic, fluted body design with radial grip ridge is ideal for gripping, turning and pulling. 2-Pole, 3 Wire Grounding Plug. Clamptite Hinged Design 15a-125v, nema 5-15p, White Thermoplastic. The Leviton line of residential plugs and connectors has been expanded with the addition of a grounding model available in four colours: Black, Gray, Orange and White and our best-selling 515PV and CV in Orange. 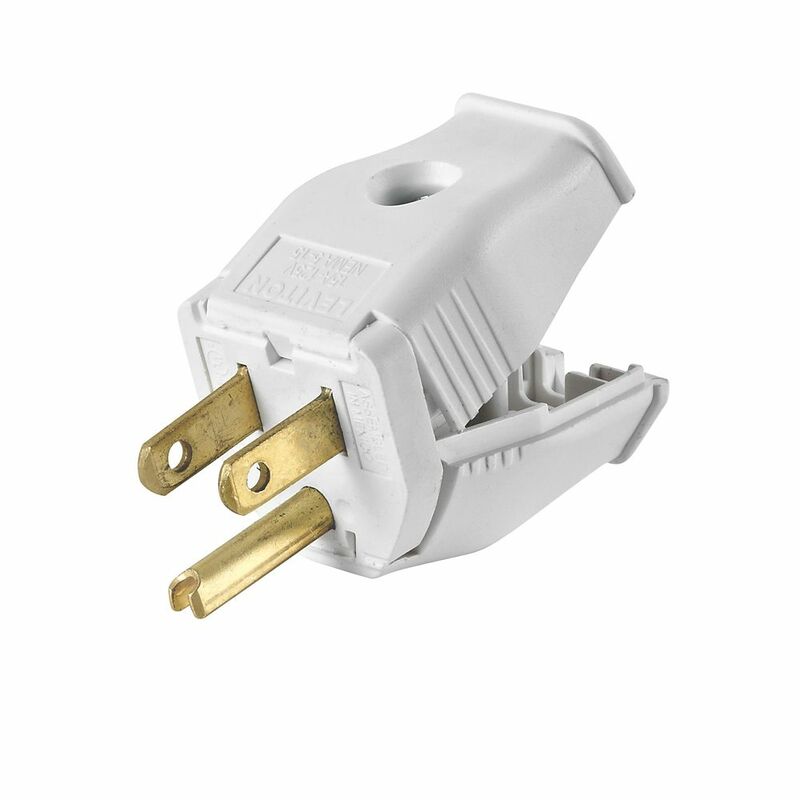 Leviton Plugs and Connectors are rugged, easy to wire and feature brass plug blades and connector contacts for maximum conductivity.